Most children love to imitate what we do as adults, whether that is copying us getting dressed in the morning, doing hair and make up or this could be helping us to vacuum the house and things tidied up. Something my girls have always been eager to do is to come food shopping with me. If I'm honest this is actually something I try to avoid, I'm sure many of you parents can agree this type of trip out can be more than stressful! But we have no need to stress anymore, not when they can now go shopping all by themselves with the Casdon Shopping Basket and the Casdon Chip 'n' Pin Till. I think I was more excited about this toy being delivered than my kids, I had my shopping list at the ready! 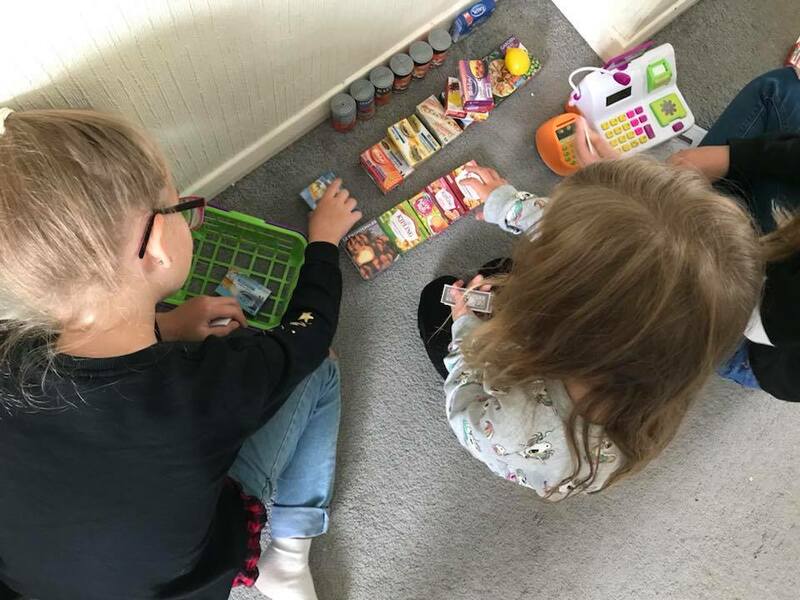 The toy is easy to put together, with stickers ready for the credit cards, the tins and the till itself, this gives children a chance straight away to demonstrate some independence. So first off I'm going to start with the negatives as I'd like to end this post on a high. Things that didn't impress me. . . Firstly it's bad enough that batteries aren't included but when you need 5 AA batteries to get it working, that's quite a lot! Secondly when so many batteries are needed I'd expect slightly more than just a couple of beeping sounds from the chip 'n' pin and a working calculator. I'd have been more impressed if the till roll could perhaps move by itself and if the food items actually made a beeping sound when scanned, although I'll admit I had fun making that beeping noise myself. 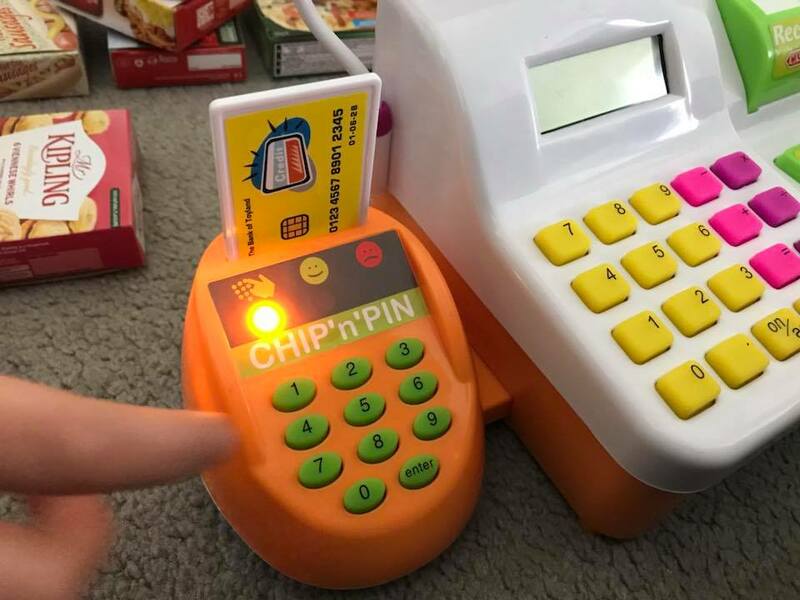 With batteries popped in the chip 'n' pin machine makes noises and will also let you know whether you have in fact got your pin correct and the great thing about the chip 'n' pin feature is that it introduces a memory game, can your child remember the 4 numbers that coincide with their card? This is a toy that is great for the concept of learn through play. First of all this is a toy that gets their imaginations flowing. Role play is a huge part of a child's learning process and what better way than stimulating them with a real life jobs that grown ups do. 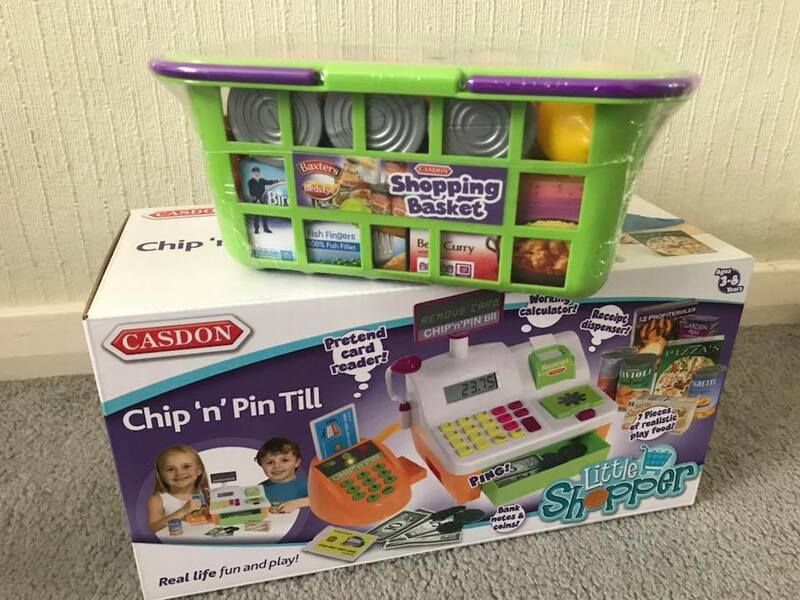 Children can make use of their maths skills, counting to add up their shopping bills with a little help from the included calculator. Numeracy skills are then furthered if they decide to pay with cash as they can add up how many notes and pennies they need to pay with. 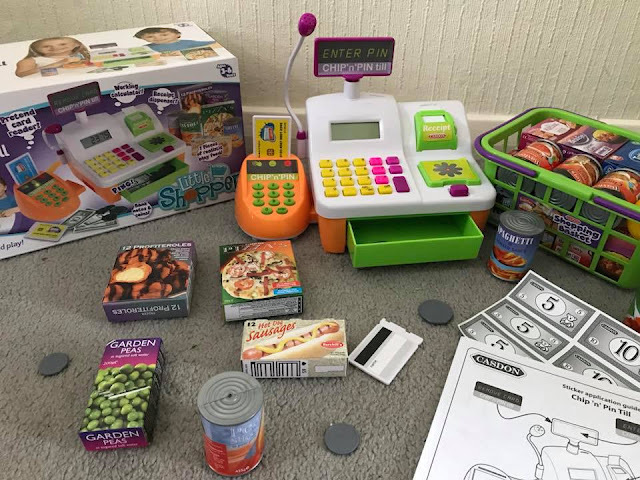 With a blank till roll, little ones can have a go at writing their own shopping lists as they pretend to scan food items. It's fantastic for building plenty of skills. As well as maths and English, children can increase their social skills and their hand-eye coordination too. Along with the coinciding shopping basket, which is great, simple but effective, with very realistic food items, children will love doing something that mummy and daddy do. The real question is what will they select for meal times this week?